Created in 2009 by Pascal Gourdot, ARPM France is a French company specialized in the manufacture of refrigeration equipment to measure. First established in Morocco, ARPM tests its products in an authentic environment, under harsh, intense and changing conditions, in order to better serving you. 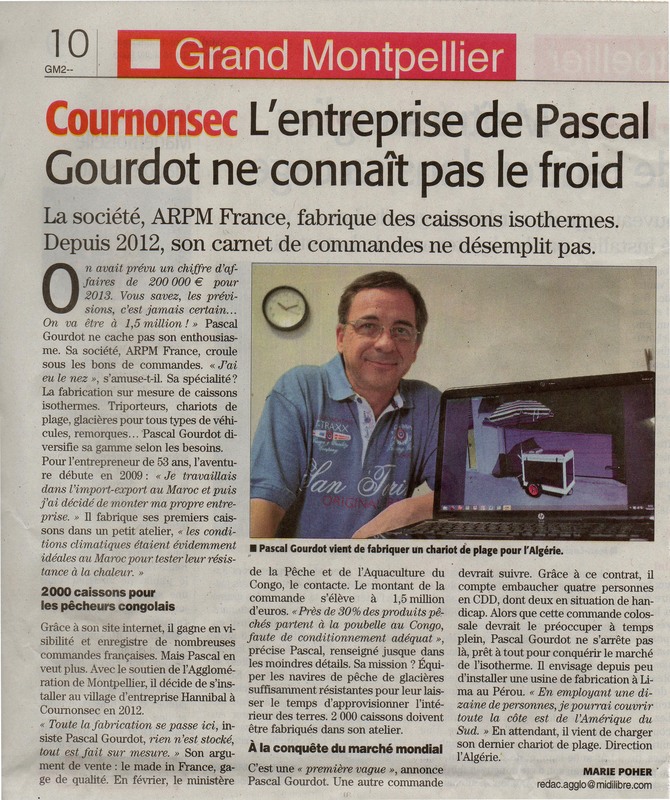 With this success, it is in Cournonsec (34) that is created ARPM France for getting closer to the French and European customers. 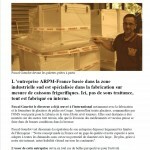 Today, ARPM France is located in LAVERUNE and offers its products to the national and international customers. ARPM France offers a wide range of refrigeration products tailored fit well in any type of use: transport food, medical equipment and health events, mortuary equipment, transport ice and frozen under civil and military etc.. All our boxes are removable allowing the vehicle to regain its original configuration to another use and in case of resale of the vehicle.